Imaginative, naturalistic, earth-centric landscape designs are Ted Carter Inspired Landscapes’ company trademarks. Spiritually-attuned to the earth and the people who inhabit it, Ted designs and constructs landscapes that lift your spirits and give you peace. The company wins many awards and is often featured in Maine Home & Design magazine. Ted Carter Inspired Landscapes serves southern Maine and coastal New Hampshire. UBLA believes in working with our clients to provide the highest quality design and construction administration services. Our process begins with a client interview to understand the goals of the client, and is then followed by a thorough assessment to determine the site's negative and positive features. Throughout the design process, we combine progressive ideas about stormwater management, use of native, lower-maintenance plants, utilizing appropriately sourced / reclaimed materials and water reclamation with the characteristics of the unique site. Probable costs are considered throughout the process, helping to guide design decisions and be sure that the final plan is within our client's budget. We further partner with select clients to see the developed design through to completion. Working with skilled tradesman with whom we have established trusting relationships over the last 20 years, we provide in-depth construction administration services. We act as the owner's representative to be sure that projects are delivered on time, on budget, and built according to the design intent. Kimberly Mercurio Landscape Architecture designs distinctive landscapes that resonate with the surrounding architecture and regional conditions. Our design work brings an open-mindedness to each project, focusing on unique landscapes tailored specifically to a particular site. Kimberly Mercurio Landscape Architecture is a Cape Cod and Cambridge, Massachusetts-based landscape architecture practice specializing in detailed design for private residences, commercial spaces and institutional clients. We are committed to providing the highest level of professional service, we offer a complete range of landscape architecture services, including master planning, permitting, historic design restoration, site-specific planting, ecological sustainability, project management and custom design of landscape structures. Founder Kimberly Mercurio is a licensed landscape architect who is a member of the American Society of Landscape Architects. She holds bachelor's degrees in ecology and biological sciences. She earned her master's of landscape architecture from the Rhode Island School of Design, where she was awarded the Certificate of Honor from the American Society of Landscape Architects. She has taught landscape architecture at the following institutions, Smith College - Northampton, MA Rhode Island School of Design - Providence, RI Harvard University / Graduate School of Design - Cambridge, MA KMLA has received four APLD International Landscape Design Awards in the Residential Design and was awarded The Best of Boston 2018 from Boston Magazine. KMLA has completed projects on Cape Cod, Martha’s Vineyard, Rhode Island, Nantucket, Greater Boston, Maine and New Hampshire. KMLA was founded in 2001. OUR PROCESS: We work collaboratively with clients, architects and contractors to bring out the inherent attributes of your particular site. We are committed to providing the highest level of professional service. Professional landscaping anchors a house to the site, connects it with the environment and creates a welcoming entrance to a home. A Newmarket landscape architect or designer works with living plants as well as building materials to design for future growth and maintenance as well as the present visual appeal. Landscape architecture is very regional, so look for a landscape designer in Newmarket, NH that’s familiar with the local climate and plant types that do well there. Start here to learn more about the landscaping services in Newmarket, NH that will help create your dream garden. The work of this outdoor professional includes most everything surrounding a home's exterior. A landscaping architect can even work with the home architect to choose the right spot for your Newmarket, NH house. From there the Newmarket landscaper will develop preliminary concepts for your front or backyard design based on individual needs including the climate and activities that will take place, as well as layouts and planting plans. Landscape architects will also design any structures or outbuildings that will be added to the space. Any grading changes that will be added to the yard are also the responsibility of the architect. This includes any drainage modifications. An engineer can also be responsible for these tasks, but licensed New Hampshire landscapers are fully capable. Like building architects, they will produce preliminary concept drawings as well as detailed construction documents and planting plans. Three-dimensional renderings and illustrative plans are all supplementary. A Newmarket landscaping designer generally will have ecological, aesthetic and technical training, which helps them maximize the potential of your outdoor space. Keeping in mind both style and functionality, garden designers analyze your architecture and yard to produce a plan that may or may not include location and materials for walkways, patios, water features, fences, garden aspects and more. 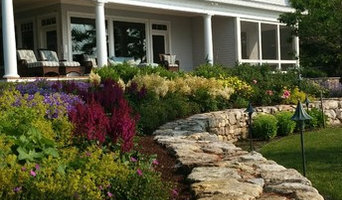 In addition, a landscaper in Newmarket, NH will carefully assess your geographic region to choose plants, trees and flowers that will flourish naturally, as well as address concerns such as drainage, screening and soil conditions. Certain landscape designers only help with the planning portion, while some may deliver the plans and then oversee a hired landscaping contractor. Others — typically following a design-build approach — take care of both the design and all aspects of the landscape architecture and construction. Find a Newmarket landscape architect on Houzz. 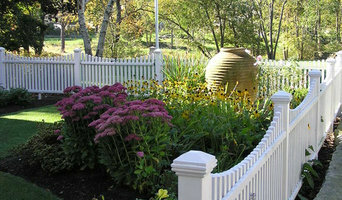 Narrow your search in the Professionals section of the website to Newmarket, NH landscape architects and designers. You can also look through Newmarket, NH photos to find a space you like, then contact the professional who posted the photo.